My obsession with chalkboard decor has been going strong for a few years now. I love real chalkboard because you can change messages often, but I also have a warm affinity for things that just 'look' like they're a chalkboard. The look is just so cheerful & I think a black & white color combo always looks chic. I also have a huge crush on decor with quotes or words; they just make my heart happy! Which brings me to day number 4(!) 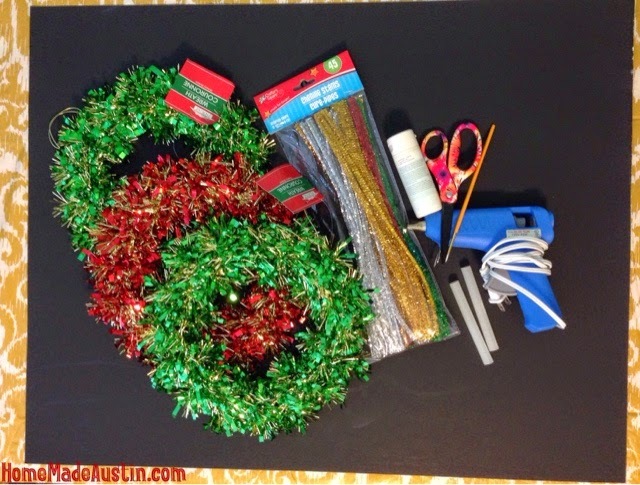 of 12 Days of Holiday: This super cute, fun, sparkly without getting glitter EVERYWHERE chalkboard wreath. This idea could be adapted to make a last name or any word you want. 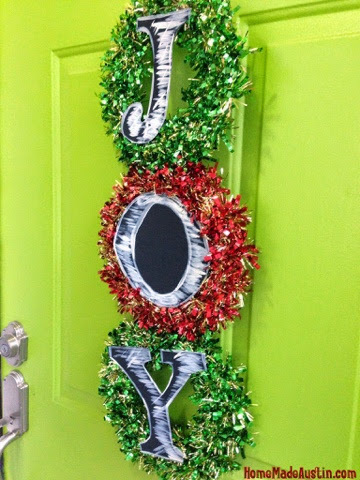 It just takes a few minutes to put together....And as an big 'ol bonus, everything I used for this wreath is from Dollar Tree! 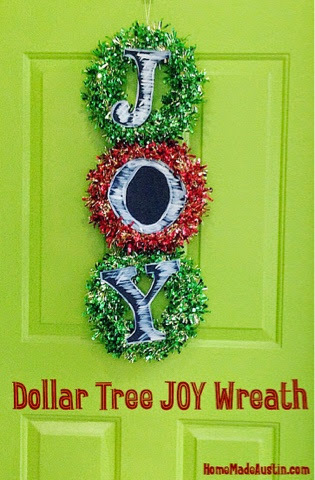 So, grand total for this impactful door decor? 5 smackaroos! That'll put a smile on your face. 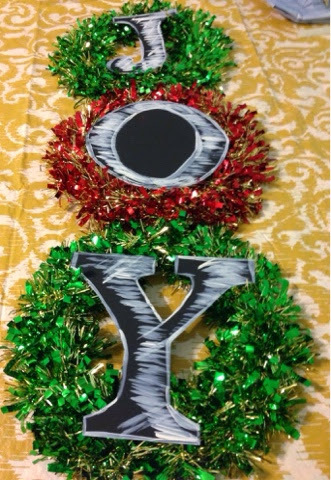 To start, gather up your pieces: 3 wreaths (or however many letters for the word you're making), a piece of black poster board, a couple of pipe cleaners (I used gold), a little bit of white paint, a paintbrush & a bit of hot glue. Take your wreaths, flip them over & arrange them in the order they'll be hanging. 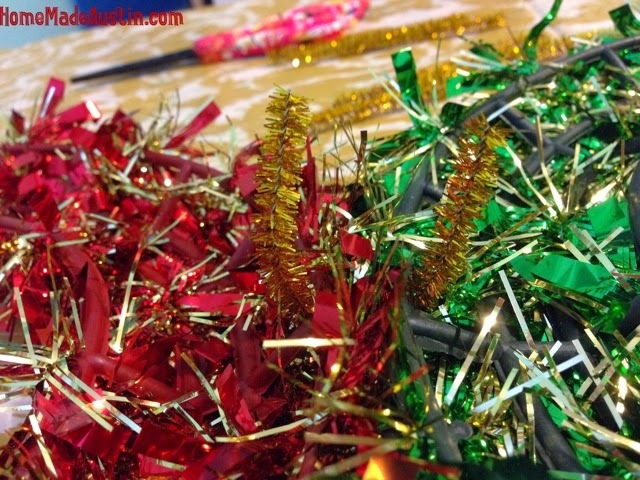 Cut a couple of pipe cleaners into thirds & using two pieces attach two of the wreaths together. Twist until tight & tuck the ends under. Repeat until all wreaths are connected. For the letters, I suggesting using your favorite computer font as a guide. 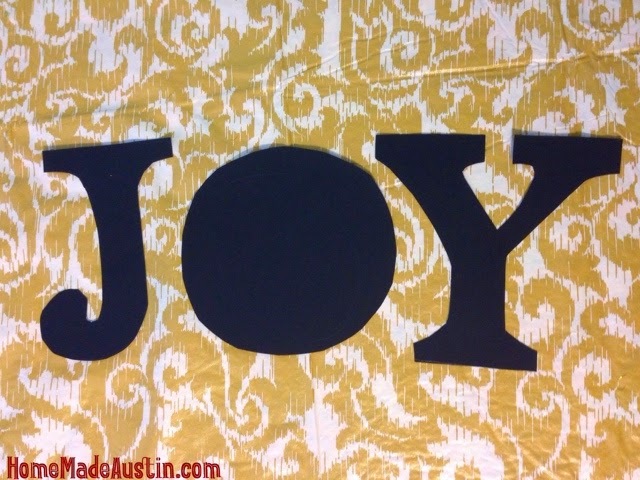 Type out each letter, making it about as big as an 8.5x11 piece of paper, print it, cut it out & use it as a guide to trace onto your piece of black poster board. Then cut each letter out. I decided not to cut out the inside of the 'O' so that it would be more sturdy. 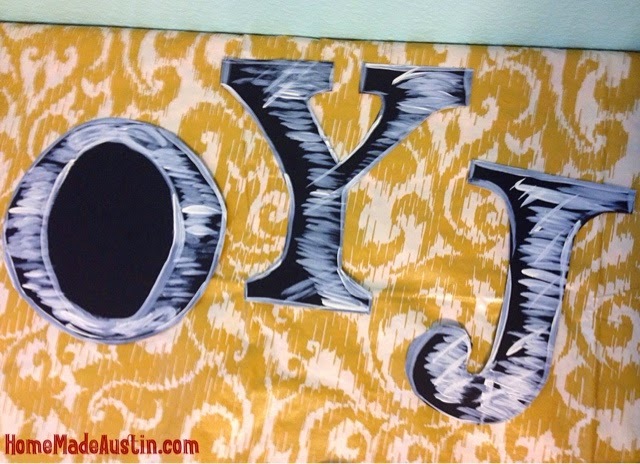 Once you've cut everything out, take a little bit of white paint & a small paintbrush & make 'chalk' marks. 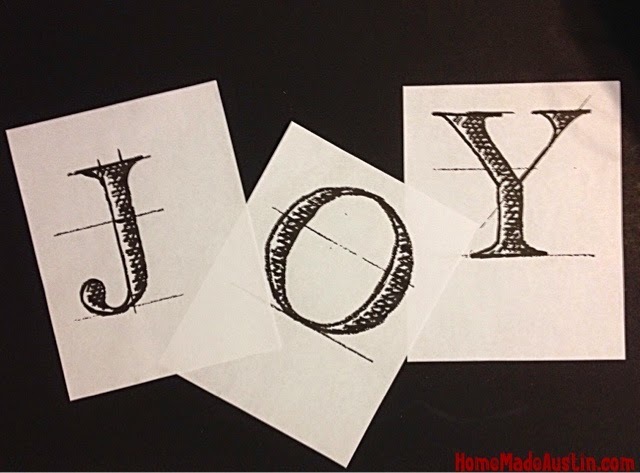 You want the letters to have a hand drawn feel to them, so don't concentrate on perfect. 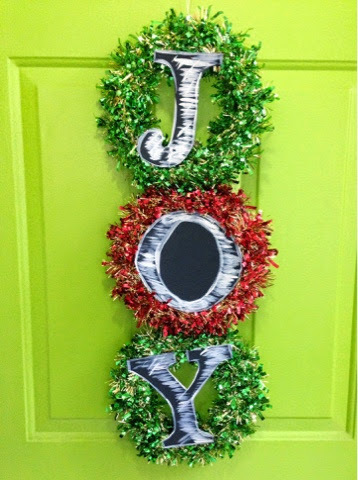 After allowing the white paint to dry, dab a few drops of hot glue onto the back of each letter & affix to the wreaths. Let the glue dry for a couple of minutes & you're ready to hang it up!